We searched high and low for a Rabbi to conduct our interfaith wedding and, lucky for us, we found you! You were there to assist us every step of the way. You really took a special interest in our wedding, and made us feel as if we were the only couple on your schedule. We appreciated your experience, professionalism and punctuality. You even went to the trouble of documenting all of our meetings and producing a line-by-line script of the entire ceremony. Needless to say, this largely contributed to the fluidity of our ceremony. During our reception, we had countless guests complimenting us on the beauty of the ceremony. Several even declared that it was the most beautiful ceremony that they had ever witnessed! It’s not too often that you see a Jewish/Catholic wedding with readings in English, Spanish and Hebrew. You even took the extra effort to translate some texts into Spanish and then read them during the ceremony. Rabbi David, thank you for officiating at our ceremony! It would not have been the same without you! I am not sure Ellamay and I can describe how truly grateful we are. Our search for a rabbi for our wedding was proving difficult. Ellamay is from a Chinese/Korean Christian/Buddhist background, and I am Jewish. It was important to both of us to incorporate our diverse cultures into our wedding without restrictions. When we met you, we immediately knew you were the right officiant for us. You said we could tailor the ceremony in whatever way we wanted, and "all that matters is that you love each other." You helped us create a fantastic ceremony, tailoring it to our spiritual beliefs. 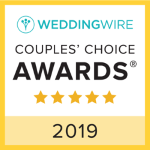 You were an absolute pleasure to work with, and we would recommend you to any couple, whether their wedding is an interfaith/intercultural wedding or not. Thank you so much! The first indications that we weren't the only ones impressed by your handling of our wedding were the watery-eyed women in the receiving line, gushing about how beautiful the ceremony was. Some had never seen a Jewish or interfaith ceremony before. Several said they shed tears during a point at which we were wrapped together in your tallit while you chanted melodically in Hebrew. That was, of course, an intimate and special part of the ceremony for us, as well as something that obviously resonated with many guests. Your presentation of Jewish traditions had a lot to do with the poignancy of the ceremony. Your command of all the ancient rituals was of the impeccable nature one would expect from someone of your training and background. In the months leading up to our wedding, you showed patience and flexibility in tailoring the Jewish parts of the ceremony to our tastes. You then conducted the portions of the ceremony that we requested be in Hebrew -- all the Jewish elements, for that matter -- with dignity and authenticity. One of the men among our guests said the Hebrew portions of the ceremony flooded him with memories of past travels through the Middle East. Equally important was your air of kindness, open-mindedness, sincerity and respect. We figured some of our older guests might struggle somewhat with their loved ones marrying out of faith. That would only be natural. Through your words and manner, you seemed to dissolve all such tension and you shifted the focus entirely to the joy that, in an ideal world, would define all weddings. We had been unsuccessful in our search for a rabbi to co-officiate our wedding, and with only one month left until the big day, we had almost given up hope of having the interfaith ceremony that we both desired so much. Fortunately, we discovered your website, and within minutes of speaking to you over the phone, you immediately allayed all our fears. We sincerely appreciate all the time and effort you dedicated to getting to know us, sharing information with us and with our co-officiating deacon, and most importantly making sure that our expectations and those of our families were met. Your approachability and accessibility made the planning of our wedding completely stress free. The ceremony was everything we could have hoped for and more. It was especially moving to us when you recognized our interfaith and intercultural marriage as an example of how to live harmoniously in a world of differences. Weeks later, our families and friends continue to compliment the unique ceremony that you graciously provided. Thank you so much! Thanks so much for making our wedding ceremony better than we could have imagined. We became very discouraged when trying to find someone to conduct our ceremony until we found you. From our first meeting we felt so comfortable with you. The process of planning the ceremony was fun, and all of your suggestions led us to the ceremony which really reflected our values, spirituality and commitment to each other. Having a rabbi officiate the wedding meant so much to my in laws. At the same time you made me and my family feel so at home by incorporating the Christian elements we were looking for in our ceremony. Our ceremony was absolutely perfect and we could not have done it without you. Both Charlie and I would love to serve as references for anyone considering using your services. Our hope is that all couples looking to join in marriage from differing faiths are able to have as wonderful a ceremony as we had. My favorite line from our ceremony is: "In an interfaith wedding, such as this one, the shattering of the glass also marks the breaking down of barriers between people of different cultures and faiths. Lyn and Charles, may we all learn from your example, and may the day arrive where all people live together in love and happiness like you do." We really cannot thank you enough!!! You were a Godsend. How did we get so lucky? We could not have asked for a more perfect wedding ceremony, and you were the driving factor behind this, with Rev. Smith. The both of you, at your direction, were there to guide and support us through our engagement from the very first time we met. We knew how lucky we were from that very first meeting, when you spent over two hours with us, just getting to know each other. You did everything in your power to help us plan the wedding ceremony that exemplified our feelings, religious backgrounds and love for each other. So many of our guests commented on how they had never been to a ceremony where the love and expression of feelings were so apparent. We feel so blessed to have met you and will always have the most perfect memories of you and the role you played in our ceremony. We would recommend you to any couple. Thank you so much. You are an amazing individual, and Steve and I both mean that from the bottom of our hearts! Coming from different faiths, we wanted to design our own ceremony, incorporating elements of our two traditions. You helped us craft the ceremony we had imagined. You guided us in choosing elements we had not thought of, and gave us further insight into the various prayers and traditions, making the ceremony that much more meaningful. You made a genuine effort to get to know us, and to understand what was most important to us, as a couple in general, and specifically with regards to our ceremony. This gave us a personal connection that was evident to everyone at the wedding. Indeed, the time and effort you put in to get to know us, and to help design our ceremony, made our wedding incredibly special, personal, meaningful, and amazing. We can't tell you how many people have told us that it was the best and most unique ceremony they had ever seen, and how great you were in guiding everyone through it. Every bride and groom should be as lucky as we were in having someone as wonderful as you officiate their wedding! Thank you very much! Thank you so much for our beautiful wedding ceremony! We really appreciate your taking the time to get to know us, and thus making the ceremony so personal. Also, thank you for coaching us while we figured things out, as well as for your diligent attention to details. Everyone loved the ceremony, and most are saying it is the best one they have ever been to! I also want to personally thank you for the effect you had on my father. I don’t think you realize how inspirational you were in getting him to take a very hard look at his own beliefs. For starters, we were not allowed to dance growing up, and our “father-daughter” dance was the first time my father danced in his life! Thank you again. We will definitely stay in touch. We really want to thank you for everything you did for our wedding! Working with you was an absolute pleasure, and not only did you make us feel very comfortable, all of our guests felt the same. You were so open and understanding, very professional, and extremely approachable. We can't even count how many people told us it was the most beautiful ceremony they had ever seen. Everyone was simply blown away, and we are still getting compliments about how much people enjoyed the ceremony. It meant so much to us to have both of our heritages and religions represented in the service, and you went above and beyond to make sure this was done. You even learned some Spanish for the ceremony! You were everything we could have asked for and more. For anyone looking for a rabbi to officiate an interfaith wedding, we would say, look no further. We guarantee they will be as impressed as we were with the work you do. Thanks again! It was an absolute pleasure having you officiate our wedding. After running into problems with finding a rabbi who would officiate our ceremony, we came across you. Within just a few minutes of talking on the phone, we were sure that you were a perfect fit for us. You encouraged us to make our wedding special and unique. You have a magnetic personality, are very approachable, and our phone conferences were always fun and relaxed. We were also amazed at how well you got to know us in such a short time. We were a bit nervous about how well both sides of our family (the Jewish side and the rural Southern Louisiana side) would receive our wedding ceremony, but everyone in attendance commented on how wonderful you were, and how validated they felt by the ceremony. Our wedding day would not have been the same without your help. Thank you for your openness, adaptability, and kindness. Without hesitation, we would recommend you to any couple. Please do keep in touch! We would like to express our sincere thanks to you for everything that you did to make our wedding so amazing! Although we had previously been a part of one of your ceremonies with the wedding of our brother and sister in-law, we could have never imagined that the experience that we had with you would be as amazing as the one that we shared both on our wedding day and during the many months leading up to it, as we worked together on our ceremony. You made the ceremony our own, and at the same time made sure that our guests (the majority of whom were not Jewish) felt comfortable and understood the meaning behind and reasoning for all aspects of the ceremony, both Jewish and Catholic. Your knowledge of us as a couple, as well as your sense of humor, really made our guests feel they were part of the experience. They continue to tell us that our wedding was one of the best that they have ever been to, and you played a huge role in that. Our only regret is that now the experience is over. Hopefully, we will continue to stay in touch and you can help us share in many of life’s experiences as we build our interfaith lives together and eventually start a family. We wholeheartedly, recommend you and your services to anyone getting married, Jewish or not, that would like a truly special experience. My wife, Nse, and I decided to get married in the summer of 2009. We are of different religions (I am Jewish and she is a Christian), different colors (I am white and she is black), and different cultures (I am an Israeli and she is a Nigerian). We both wanted a wedding that would reflect our respective traditions and values and that would incorporate both our religions and cultures. Finding a person to officiate such a wedding turned out to be quite difficult, but we were adamant, and did not want to give up, and just settle for a civil ceremony. Luckily, we found you through our internet research, and chose to work with you. This was by far the best and most important decision we made regarding our wedding. You delivered in every sense of the word. You spent a considerable amount of time getting to know us, and planning the ceremony down to the last details. You made numerous suggestions, and referred us to a variety of sites to help us organize and plan our wedding. You are compassionate and very knowledgeable and have a remarkable sensitivity. By the end of the process we felt we had acquired a good friend. The ceremony itself proceeded without a hitch, and was absolutely fabulous. It was everything one would wish for in a wedding – moving, beautiful, meaningful, devotional, humorous, (and at the same time) serious and very very happy. Your officiating was perfect! I believe that anyone of any (or no) religion, color or creed would benefit from being wed by such a wonderful man like you. For us it has been and will remain an unforgettable experience. Wow, you did an incredible job! We just can't express what a joy it was for both of us to work with you. We are so appreciative of your services, your preparation, and all of your kind words. Our families really enjoyed speaking with you, and from talking with all of our guests, you certainly did impress. We are both sincere when we say we really would like to keep in touch. Thanks, again! Words really can’t express how much we appreciate everything you did to make our wedding so special. Every couple wants a ceremony that is both warm and a reflection of their personalities. You played a huge role in helping us to achieve that by taking the time to really get to know us and composing a beautiful outline based on that. Our conversations with you were always so pleasant and lighthearted, and yet encouraged us to search our own thoughts and beliefs on spirituality and how that influences our relationship. There are so many stressful things that go along with planning a wedding, but one thing that never concerned us was your ability to conduct a wonderful ceremony. Our families and guests were extremely impressed with your explanations and the way you combined Jewish and Christian traditions with such finesse and respect. We would highly recommend you to anyone. Hopefully, our paths will cross again soon and again, thank you for giving us a ceremony we will always remember. Having a modern wedding that represented us a couple, yet still embodied the traditions of our families, seemed daunting at first. Of course, that was before we met you! You walked us through every step of planning the perfect ceremony. You are extremely knowledgeable regarding every nuance involved in a wedding, and you helped us gain a better understanding of all the various wedding traditions. The fact that you were so receptive, and didn’t impose your own opinions on us, made us feel that much more comfortable. Our several meetings with you in the year leading up to our big day were extremely efficient, as you took the time to learn about us, our backgrounds, and our desires. With the abundance of nerves on one’s wedding day, our officiant was one of the constant calms. You conducted a memorable and beautiful ceremony customized and tailored for us as bride and groom. It was also a ceremony that, in our opinion, no one else could have performed. Every compliment we now receive regarding our wedding includes the Rabbi. Thanks again for helping us make our special day spectacular! We are both very pleased with how our ceremony went. We were originally considering having a rabbi and a priest co-officiate. Your personality, knowledge, and flexibility made us feel so comfortable, that we decided to have you officiate exclusively. You took the time to get to know us through several phone meetings, and it definitely showed. We received numerous comments from our guests about how warm and personal our ceremony was. Thank you for everything! If you anyone is having an interfaith ceremony, you are the best choice! It was a joy to work with you. We appreciated how you really took the time to get to know each of us individually and together as a couple. You worked closely with us to make sure that our ceremony was exactly what we wanted. It was so nice to have such a personalized ceremony with such warmth, love and even humor. Both sides of our family and all of our friends just loved you and appreciated everything you said! From our initial meeting to the wedding ceremony, it was always a pleasure working with you. You were very understanding of our backgrounds and interests and made every effort to get to know us better as a couple. Your laid back and humorous personality matched perfectly with ours, which made working with you a pleasure as we prepared for our interfaith (Cancun, Mexico) beach ceremony. You helped us create our own personalized ceremony by incorporating aspects from each of our backgrounds, and the end result was magical. We would recommend you to anyone looking for an officiant for their special day. From our first conversation with you, we knew you were the "one". We felt confident that our special day was entrusted into the right hands. Your demeanor, presence, and energy were exactly what we had envisioned. Together we deliberately and carefully planned the perfect ceremony, incorporating Christian and Jewish traditions. You officiated it beautifully, with great fluidity switching back and forth between Hebrew, English, and Spanish. We are truly grateful to you for having the passion and gift to officiate a wedding in such a stellar way! Thank you for being such a big part of our special day! You did such an amazing job. You are so open-minded, and you made everything seem so easy. You helped us create our own special ceremony, one we will never forget. Everyone at the wedding had such a great time. They loved how well you explained all of the different traditions in the ceremony, and how you made everyone feel so comfortable. We highly recommend you to anyone who is in need of a Rabbi to celebrate with them during the most special time of their lives. Thank you! We cannot thank you enough for being part of our special day. To say that it surpassed everyone’s expectations would be an understatement. Your ability to “work” the crowd, and at the same time make the event special and personal for the bride and groom is a true gift. You added so much life and energy to the ceremony. So many people have said so many wonderful things about you. Thank you again for everything! We are so happy that you are able to do the wedding ceremony for Bert’s brother and future sister in law. It is truly special to have you officiate two siblings’ weddings. We are excited to share this with them! We are both Jewish but wanted to have our ceremony on a Saturday. We were having so much trouble finding a Rabbi who would officiate our wedding before 9pm... until we found you! You were amazing from start to finish. You were always very reliable and accessible. You were professional, yet funny and personable. From our first meeting, it was clear that you were going to go the extra mile to make sure that our ceremony was perfectly catered to us. Over the next three meetings, you really made an effort to get to know us. You also provided us with valuable resources to better understand the ceremony and choose the parts that we wanted in our wedding. We continue to get so many compliments regarding our ceremony. We can't thank you enough for giving us such a wonderful, meaningful ceremony! Our message to Jewish couples like us? Rabbi Gruber doesn't just do interfaith weddings; he was amazing in giving us the personalized Jewish wedding that we wanted! In a world where it can sometimes be difficult to find spiritual leaders who will endorse and embrace interfaith relationships, it was more than a breath of fresh air to find you. 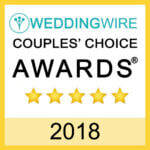 Your desire to recognize couples of all combinations, and create tailor-made ceremonies that are unique to the love shared by two people, were a Godsend to us. You married us in a ceremony that was so perfectly designed to include both our Jewish and Christian traditions. You are truly gifted with ceremonial artistry. You were purposeful about spending time getting to know us, know our story, and know our hearts. Through this, on our special day, you were able to so eloquently convey the uniqueness of our journey, our love, and the road of life before us. All of our guests were exposed to a magnificent telling of our love, our individual beliefs, the traditions from which we came, and how the culmination of all those things would be the strength and backbone of our union forever. Without question, the most repeated compliment we received from our guests was how amazingly beautiful our ceremony was, unlike any they had witnessed before. Thank you for your unforgettable contribution to one of the most important days of our lives. You have blessed us tremendously, and we are forever grateful! Reuniting twenty years after we began our relationship, we wanted our wedding to be a very personal and meaningful event. We are both Jewish, but don't belong to a synagogue. We don't have Jewish friends, and the only other Jewish person in attendance would be the groom's mother, so an interfaith wedding rabbi was a great choice. You were very personable, and you took time to get to know us and our situation. At the ceremony you spoke with both reverence and relatability. You wrote and delivered a very moving ceremony that awed and impressed everyone. Because of you, we had the PERFECT wedding ceremony. We were showered with compliments about you throughout the reception. In twenty years no one will care about the dinner they had at one's wedding, but the words used to unite a couple as husband and wife will always resonate. We were truly honored to begin our life together with your words. Shalom! After searching high and low for a Rabbi that would perform the ceremony, we were put at ease after our first phone conversation with you. As we continued our phone meetings, we were excited to see the script of our ceremony start to form. Your knowledge and experience helped guide us when selecting readings and traditions that we wanted included in our service. Your attention to detail and organization is first rate! During one of our meetings with the Priest, he commented that he had done interfaith weddings in the past, but this was the first time he had been provided with such a detailed layout and thought it to be extremely well planned out and organized. We truly appreciate everything you did for us to help make that day come off as we envisioned it in our minds! It was getting close to our wedding day, about six weeks out, and I had given up on calling all of our local area synagogues. Not one rabbi would even consider co-officiating a wedding in a Methodist church. We then received an email with a reference to you, the Interfaith Wedding Rabbi, David Gruber. I immediately sent you an email, and got a very quick positive response. You were excited and motivated to work with us. We met three times before the wedding, twice with you only, and once with the minister. We talked extensively, and meticulously planned the ceremony. Our ceremony went so smoothly; it was perfect! The feedback we received from our guests was great. They were all raving about you. You did such a great job, tied in all of the traditions we wanted, and even made several jokes, keeping our guests attention. We couldn't be happier with how things went, and highly recommend you to anyone looking to have the perfect interfaith wedding! Thank you so much for making our wedding day such a wonderful experience! We really appreciate all of the time and effort you put into creating our unique ceremony, and for traveling all the way to Thailand to officiate it so beautifully. Please do keep in touch! Thank you so much for your support and guidance throughout the engagement and wedding. There has not been one person who attended the wedding that has not commented on what a terrific job you and Father Michael did. Everyone thought you two had been working together for years. From our first conversation through the wedding ceremony, you were truly dedicated to making our wedding special and meaningful for US. We will never forget your dedication and advice that assisted us in making this special time truly perfect. Thanks for everything, and we look forward to keeping in touch! We could not be happier with our choice to invite you to officiate our wedding. You withstood scorching heat and torrential rain to marry us in beautiful Merida, Mexico. You worked closely with us to craft a ceremony that expressed our love for each other, our families and our friends, while also respecting our distinct cultures and traditions. Not one person failed to mention the beauty of the ceremony. David, it was a joy to meet you, and have you as a part of our special day! Distinction is the first word that comes to mind when describing your talent for officiating. You did a superb job not only bringing two people together in matrimony, but bringing two faiths together as well. From our first call it was quite clear that you were going to be the right man for the job. You wanted to learn about us in depth. Where did we come from? How did we come to where we are today both religiously and professionally? Not surprisingly, many of the questions you asked us allowed us to reflect on how we were going to shape our future together. With great care you balanced the respect and reverence for each of our families’ respective religious convictions at the wedding. The majority of the ceremony was done in Hebrew and English, but you also went out of your way to learn a prayer in Gujarati, and you included several Indian traditions in the ceremony. The experience from start to finish was handled with professionalism and respect. Thank you for all your help and guidance. We would recommend you to anyone! You took the time to get to know us as individuals and as a couple with VERY short notice. You were able to capture our unique wishes for the wedding, make our families feel welcome and comfortable, and craft the perfect ceremony just for us. Every time someone talks to us about the wedding, the first thing they mention is you and what a great job you did. We could not be happier with your services and now have great memories for many years to come. Thank you for helping make our wedding an amazing event. Numerous friends and family from both the Sikh and Jewish sides complimented us on the Jewish ceremony for how informative it was and how well it balanced gravitas and levity. Thank you again for making our wedding an amazing and unbelievable experience! You made our ceremony so beautiful and we really cannot thank you enough. You worked with us and guided us over the course of several months, crafting a ceremony that was uniquely "us" and which all of our guests would feel connected to and moved by. During our discussions before the wedding, you would explain the various traditions, spur us on to do our own research, and encourage us to think about what traditions we wanted to include, what they meant in history and what they meant to us as a modern, gay interfaith couple. The ceremony itself was absolutely beautiful: the flow, the prayers, the short sermon, the Sephardic-accented tunes and the perfectly-timed jokes were all absolutely wonderful. It was the first Jewish ceremony that many of the guests had been to, and you did an excellent job of explaining each ritual, movement and prayer without compromising the solemnity and power of the ceremony itself. As the ceremony showed, you got to know us as individuals and as a couple so well, that our guests were shocked that we had not met you in person until an hour before the wedding. All of our guests were so incredibly moved by the ceremony, that the ceremony was the first thing that they thanked us for when they said goodbye. It made such an impression on the non-Jews and Jews alike, and we have you to thank for that. We will most definitely keep in touch. Thank you again for everything! David, we just wanted to email you a HUGE thank you, before we head to the airport for our honeymoon, for such an amazingly beautiful ceremony. I know people call your wedding your "special day", but you truly went above and beyond to make that more than just a catch phrase. We are truly blessed to have met you, and to have you play such an important role in our lives. From the bottom of our hearts, thank you very very much! Thank you for everything. The service was so beautiful. When you chanted the Seven Blessings, it brought us to tears. Your presence was so inspiring and soothing. We are so honored that you were a part of our wedding. Everyone we spoke with loved the dual ceremony, and thought you were absolutely great! We would not have had it any other way. Thank you again, from the bottom of our hearts, for my making our special day so meaningful and beautiful. You were a huge help in turning our special day into a wonderful celebration! We handed you a difficult task by contacting you just a month before our wedding date. Thanks to your indispensable guidance and extra efforts, we were able to put together a beautiful and moving ceremony that blended our beliefs and desires. And you made this day even better with your beautiful chanting of traditional prayers and blessings. our families, and our friends will recall with loving fondness. Thank you so much for an incredible job! We received so many compliments about the ceremony, and we truly could not have asked for anything more. We honestly think you got to know us better, and delivered a more personal ceremony than either of our childhood clergymen could have delivered. We will forever be grateful for your contribution. It far exceeded our (rather lofty) expectations. What an incredible service! It was better than any other rabbi could have done. We appreciate everything. You made it so personalized, and everyone was just raving about you. Keep in touch. You are very special to us. There are no words to express what an amazing job you did officiating our wedding. We could not have found a more perfect person for our ceremony. You exceeded all of our expectations, and were able to provide us with a ceremony that truly reflected who we are as a couple. Our ceremony had the perfect mix of Jewish and Guatemalan traditions, not to mention that it was a trilingual ceremony with Hebrew, Spanish, and English! Our ceremony was sentimental and full of love, with perfect sprinkles of humor mixed in. Our guests are still talking about our ceremony, and how it was the most thoughtful and beautiful ceremony they ever witnessed. You made our wedding day so incredibly special, and we will be eternally grateful to you for giving us the perfect ceremony, one that we will never forget. Thank you, David, for truly making our dream ceremony a reality. Thank you, thank you, thank you! We were so happy with how everything went, from start to finish. One of our favorite things about working with you, was the personal attention you gave us. So many people at the wedding asked us if you were my (Liza's) rabbi growing up. I loved that people could sense the connection and relationship that you built with us through the months leading up to our wedding. It made a big difference for them, and it made a huge difference for us. We got so many compliments about how "us" the wedding was, and how authentic your remarks were. Many people said this was the only wedding they've been to where they really felt like the officiant was really with it, and that it wasn't a cookie cutter service. So many of our guests said how funny and entertaining you were, and yet so heartfelt and sincere at the same time. We really could not have asked for anything else on our wedding day. I wanted to thank you for putting the time and effort into really getting to know us, and to making our day so special. If you ever need a reference, to attest to how wonderful it was working with you, we'll be more than happy to share our story. It was very important to us to find someone who could portray, through our ceremony, who we are and what we believe, and you MOST CERTAINLY did. To top it off, you officiated the whole ceremony in Spanish! We loved our ceremony, and we appreciated so much the time you took to get to know us and make our ceremony representative of us. Thank you very much! Having you officiate our ceremony was an amazing experience. You made us feel, from day one, comfortable and confident that our wedding ceremony was going to be perfect. We were living in different countries, so per your suggestion, we arranged three way conference calls, so we could still have our "meetings" and you could get to know us better. You were professional, reliable and open to any suggestions or ideas we had. And so, as we were expecting, our ceremony came out perfect. It was heartfelt, personalized, and unforgettable. From the first moment that we were in contact, you made us feel at ease, and validated our desire for a wedding that represented both our faiths. You took the time, from the very beginning, to understand our religious and cultural backgrounds, which made us both feel comfortable. We did not have a firm idea of how we wanted our ceremony to look, so you ensured that we had all of the necessary information to make decisions, and explained each component of the ceremony to us, so that we knew the purpose and symbolism of each. You asked us thought-provoking questions that allowed us to discuss and mull over important aspects of our traditions, family backgrounds, and beliefs. Working with you was not just about planning and writing our ceremony; it was about experiencing the process of becoming married and enjoying every aspect of that! The ceremony itself was magnificent, and we enjoyed every minute of it, as did our family and friends. You helped make our day more memorable than we could ever have imagined. You exhibited a sense of humor, a good understanding of diverse cultures, and a kind and calm demeanor. You connected so seamlessly with us and with our guests. The entire wedding day and planning experience was an absolute pleasure, and we know our family and friends felt the warmth and care that you instilled in it. Thank you! It was quite a ride leading up to our big day in Guanacaste, Costa Rica, and we are so grateful that you were part of our journey. We wish we could go back, and do it all over again! The ceremony was everything we dreamed of and more, our guests loved every minute of it, and everyone was so touched and inspired by your words. We are so happy we found you, and could not have asked for more. You truly made our day extra special. Take care and we will keep in touch! You spent a lot of time getting to know our daughter and her fiance. You are a kind, intelligent, and compassionate man. The ceremony was beautiful and warm, and we intend to ask you to perform similar services for our other children. We highly recommend you without any reservations! We can’t thank you enough. Everyone has told us it was the most beautiful wedding they ever attended. They said you could just feel the love in the air. My Catholic friends had never been to a Jewish wedding, and were so impressed with you and all the Jewish customs, especially your comments about what you learned from the couple uniting two faiths and two cultures, and how the whole world should learn from them. You and Deacon Don made it a wonderful and memorable event for everyone. Indeed a week ago we went to visit the couple, and they and their friends were still talking about the ceremony. Today a friend called to tell me about a wedding in New Orleans last week, where the rabbi spoke of a Eunice girl marrying a Jewish man from Turkey. Then I remembered that you had indeed told us that you were officiating another wedding in New Orleans a few weeks after our daughter’s wedding. She said that the wedding ceremony was quite moving. May God continue to bless you, your family and your ministry! Thank you so much for the beautiful marriage ceremony that you performed for Jonathan and Sara Beth. It meant so much to us that you were there, and we deeply appreciate your willingness to officiate at Sara Beth’s church in Little Rock, Arkansas. Thank you so much for a truly special service! It was our pleasure to meet you. As we got to know you, we came to appreciate the full measure of your wisdom and caring. You are highly educated on Jewish affairs, open-minded regarding other religions and points of view, and very personable as well. As befits such a fine man, you also have a wonderful wife, Liat, and a beautiful family. You are a true mentsch! Thank you for making our daughter’s wedding magical. We loved it, and everyone loved you. Our guests were so impressed, and just could not stop talking about the ceremony. Thanks, again! You were excellent. You embraced our family with open arms, and created a beautiful baby naming ceremony for our daughter. You were non-judgmental and open to all of our suggestions. Everyone had a wonderful time! David, I can't begin to tell you what a joy it was to listen to Betsy and Billy's ceremony. Your words were those of a man who had come to know the two people standing in front of him. The time you spent talking with, and listening to them evolved into words that were especially meaningful to them and to the many people who were present at their wedding. A Rabbi is a teacher more than anything else. Since there were many at the wedding who had never witnessed a wedding in the Jewish tradition, it was wonderful how you explained all the various symbolisms. As a "Jewish mother," it was particularly important to me that the wedding traditions that had been a part of my wedding be carried onto the next generation (l'dor v'dor), and you did this in such a beautiful way. Thank you! Thanks so much, Rabbi Gruber! We have heard so many positive comments about the ceremony, with people telling us they had never seen anything like it, and that they would remember it for a long time. We were personally touched by the ceremony, and by the fact that Dr. Longsworth opened the church to us, and was excited to share the service with you. Thanks for opening your heart to Ben and Caitlin and for making their special day even more special, meaningful and memorable! (It was a pleasure meeting Liat too.) We look forward to recommending you to others, as I know Ben and Caitlin do. We would like to thank you for helping to make Jared and Wadia's wedding weekend in Merida, Mexico a very meaningful and memorable event, not only for the wedding couple and us, but for all those in attendance. We continue to receive numerous compliments as to the warmth that pervaded the ceremony. We are sure that this was the first and possibly only exposure by many in attendance to a traditional Jewish ceremony. Your explanations in both English and Spanish were right on, the amount of Hebrew was just enough to keep it traditional, and the humor added a lighter touch at exactly the right moments. Everyone has spoken very highly of you, and we could not be happier with Jared and Wadia's choice of you as the officiating Rabbi. Thanks again! We just wanted to thank you for everything. The ceremony was beautiful. Everyone complimented you and the pastor on a wonderful job. They thought you both knew each other for a while, and had worked together before. They were surprised to learn you had only met in person that day! We highly recommend you to anyone who needs a rabbi for their children's wedding. Again, thank you for everything! Your wedding ceremony for Emily and Matthew was nothing short of spectacular. This is not simply my opinion, but the consensus of the 300+ guests of all different faiths. The couple, as well as all of the guests, felt like you had known the couple all of their lives. Thank you so very much for making their wedding ceremony so special and exceeding all of our expectations. The greatest compliment I can give you is that our other son is getting married this summer to a young lady not of the Jewish faith. He was so overwhelmed by your wedding ceremony that he intends to ask you to officiate his. Thank you again for making this wedding so special! Thank you, David, for officiating our daughter's wedding, and for creating a ceremony that was a true blend of Jewish and Mexican traditions, making everyone feel included. All of our guests raved that it was the most beautiful ceremony they had ever witnessed. We didn't expect you to be trilingual, and that added to the beauty of the ceremony. Your humor and charm were also much appreciated. Thanks again for making our daughter's wedding a memorable and special night that will remain prominent in the memories of everyone who witnessed it. You did an awesome job officiating our daughter's wedding, with so much grace and dignity. You made everybody cry; you made everybody laugh. What more can parents ask for! Thank you so much for officiating our baby naming. You have been such a wonderful rabbi to us, first officiating our wedding so beautifully, and now our baby naming with equal beauty. We love having you officiate our most important life moments. We hope to see you again soon! What a wonderful celebration our daughter's Tuscany, Italy wedding was! Thank you very much for a truly wonderful wedding ceremony and impressive personal remarks. All the best! The beautiful ceremony you performed for Eve and Patrick was one of the nicest we ever saw, and it was done with grace and respect for all. You made it seem so very natural that these two people should be married, in spite of the difference in their religions. We were very proud of the ceremony, and very proud of you. Thank you so very much for all that you did! We wanted to thank you again for making Erika and William's wedding ceremony the most beautiful, personal and meaningful one we ever witnessed. Your appreciation for their different cultures made it perfect for our entire family. We will forever be grateful to you for making our daughter's wedding an unforgettable experience! We want to thank you for a truly amazing ceremony yesterday. You were able to create a ceremony full of dignity and compassion. Everyone felt so comfortable with the way you were able to include traditions from both faiths. This will remain a truly memorable event in our lives. All of our friends said the ceremony you and R-J officiated was one of the most meaningful and beautiful services they ever attended. We were touched and pleased by the perfect balance of representation of both faiths, and how seamless the ceremony was. We loved your reminder that most of the world's problems stem from people being unable to accept each other as they are in terms of faith and custom, and how John and Julia chose to be an example for others, to let positive change begin with them in their new household. The ceremony could not have been more perfect, and your pleasant and friendly demeanor added so much to the entire event. We cannot thank you enough! We can't thank you enough for the most beautiful wedding ceremony we ever witnessed. Many of our friends said they were brought to tears many times during the wedding ceremony. Your words of wisdom and tenderness meant so much to us as parents of the bride. Nicole and Nicholas were blessed by your presence and guidance throughout the entire journey leading up to the ceremony and the wedding itself. Thank you from the bottom of our hearts for a memory we will cherish forever. I honestly believe that what happened together was so much more valuable than what we could have done solo. It was an absolute delight to work with you, and it would be so much fun to do this again! It was just so much fun to meet you and to hear about your journey! What a joy it was to serve with you. It was a most meaningful service; thank you for all that you did to develop it. I am most appreciative, as I know they are. Rest assured, when I have another request for a rabbi to co-officiate a wedding ceremony, you will be first on my list to call! I really appreciate your kind and professional work co-officiating the wedding ceremony with me. Thank you for organizing everything so meticulously, and most and above all for your personal touch and friendship. I look forward to keeping in touch with you. We were blessed by your presence. May Adonai be with you! What a great wedding! I really enjoyed planning and working with you, as well as having the opportunity to spend time getting acquainted. I feel that our planning together and with the couple was done openly and respectfully for our faith traditions. The wedding service itself affirmed both traditions explicitly and celebrated our commonalities. It was a beautiful and joyous occasion. I feel that I’ve made a good friend as well as developed a professional relationship with a trusted and capable colleague in ministry. I look forward to more opportunities to work with you. David, I enjoyed working with you! I have co-officiated with many ministers, but your professionalism and charm really added to the ceremony. Our mutual agreement in focusing on what the couple needed made the experience a lasting memory. I wish you the very best in accomplishing your goal of ministering to those in need. I found you pleasant, flexible, sensitive, a joy to work with, and inclusive in bringing together the cultures and traditions of the couple. It was clear you truly wanted the ceremony to reflect the couple's faiths and speak to their experiences. Your sense of humor was well evident too! Comments from both Christians and Jews following the ceremony were so positive. The God who created us was definitely present with His guidance. I hope we have the opportunity to work with one another again. Working with you was a joy! You spent much time with Misty and Brian helping them understand how to best blend their faith traditions in an interfaith wedding ceremony. Together, we were able to work with them to write a ceremony they found very meaningful. You were warm and winsome, and you made everyone feel so comfortable during the planning stages and the ceremony itself. I look forward to working again together! David, it was such a pleasure officiating with you not once, but twice in the same weekend. You approached me with respect for my Christian faith, and a spirit of cooperation that I found refreshing. We both had the same goals – to make the wedding experience for the bride and groom a memorable one, and bring the best of both faiths into the ceremony. We were very successful at doing that together. I will admit to one tiny envious issue – the prayers sound so much better chanted in Hebrew than spoken in English! Aloha David! What a pleasure it was to work with you. I want to thank you for your patience and graciousness. I really enjoyed getting to know you. I look forward to doing it again in the future. I have no words to communicate my happiness and good feelings following the ceremony that I had the honor of co-officiating with you at Iris and Ben's wedding here at the Moon Palace. I was glad to hear the compliments of the Jewish community after the ceremony, and to see all the guests rejoice praying to the same God. How important and necessary it is to live united in peace and love, today more than ever. I look forward to co-officiating with you again in the near future! Wow! You did a fantastic job at my daughter's wedding we co-officiated. I received many compliments about us working together. Many said it was like we had been doing it for a long time together. See you again soon! During Stephanie and Dan's wedding our two faith traditions came together beautifully, thanks to your preparation, and you made it look easy. God was with you and me and Stephanie and Dan that evening. The parents, grandparents and relatives of both faiths, who I spoke with at the reception, were overjoyed with the ceremony. I look forward to the opportunity of doing this again with you in the future. If I have the occasion to work with another couple of the Jewish and Catholic traditions, I will certainly recommend you. Your work as a wedding officiant is tremendous! As a pastor, I have officiated more than 200 weddings, but I had never done an interfaith wedding like the one we did together. Understandably, I was a bit apprehensive about how it might go. I shouldn't have been. Your professionalism and personable leadership made it a pleasure for me and for all those involved. Please do keep in touch. It was my first experience of a mixed marriage, with a blending of the elements significant in the Jewish and Catholic traditions. There was excitement in me as well as some trepidation regarding how the whole thing would work and mesh together beautifully. Well, you did it! You guided the much needed planning and organization to bring together the wonderful elements of our faith traditions, while also communicating the love and joy shared by the couple. You provided the leadership and guidance we needed to make the entire celebration meaningful both for the participants and the congregation. With your lead, the celebration began, proceeded and ended flawlessly and marvelously. The detailed planning bore fruit, and everyone went home with a wonderful feeling and experience of a union celebrated joyfully, elegantly and meaningfully. Thank you so much for your leadership in blending Nicole and Nicholas’ Greater Detroit wedding into a beautiful celebration! Both families were very delighted with our collaboration in blending their faith heritages into a unique and cohesive service. I received many compliments on your behalf. It was truly an honor to co-officiate with you. May God's richest blessings be on you in your work.